Cradled within the Lizard Peninsula, Britain’s most southerly and warmest point, Mullion makes the most idyllic year-round escape and is the ideal spot for your new laidback lifestyle as a lodge owner. Enjoy precious moments with the whole family with regular escapes to the coast. Whether it’s a last-minute weekend or a month-long getaway, your new lodge-style home from home has every modern convenience to make your stay special. And Mullion’s extensive facilities are always on hand to entertain. Spend your days exploring a region famed for its unspoilt beaches, azure seas and outstanding natural beauty, or unwind in your lodge and its quiet countryside setting. Either way, a new, altogether better life chapter begins at Mullion. From days spent sightseeing the Cornish coast to starlit evenings on your own private veranda, lodge owners make extra-special memories at Mullion. A seaside experience with character. Discover golden beaches, quiet coves and the loveliest fishing villages. Enjoy quality time away in the most scenic setting, the entire Lizard Peninsula is an AONB. 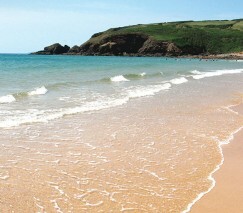 Britain’s most southerly spot is its warmest too, making Mullion the ideal year-round escape. Fabulous facilities keep the whole family entertained, including outdoor and indoor heated swimming pools.